In the latter 1800’s the plight of children began to be placed on the political agendas in Europe, England and North America. In Canada, John Joseph Kelso, a newspaper reporter for the Toronto World and later the Globe, devoted his life to securing a better system of providing for children’s social and emotional needs. Initially disturbed by the ill treatment of animals, he was a founding member and first president of the Toronto Humane Society in 1887. By 1891, he established the first Children’s Aid Society in Toronto. In 1893 Canada’s first Children’s Act was passed in parliament: An Act for the Prevention of Cruelty to and Better Protection of Children. This Act authorized the formation throughout Ontario of children’s aid societies, directed by citizens in local communities. The act empowered authorized local organizations to apprehend and provide guardianship for neglected children. J.J. Kelso had been appointed to establish and supervise these local organizations, which eventually covered every part of Ontario. 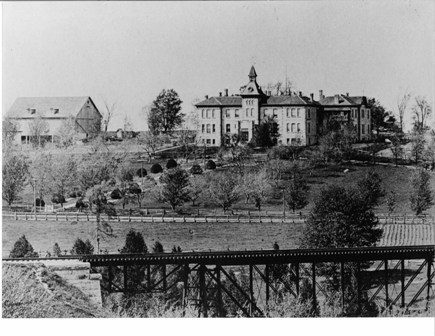 Shifting from a philosophy of punishment to rescue led to the formation of Industrial Schools. Children under the age of 14 found homeless, guilty of a petty crime or suffering on account of parental neglect could be sent to an industrial school where they were provided with food, clothing and lodging as well as schooling and life skills training in a home-like, cottage setting. The Act for the Prevention of Cruelty to and Better Protection of Children of 1893 stipulated that for every town of 10,000 people or more, a receiving home or shelter must be provided for the temporary care of children apprehended under its authority until homes could be found. By 1930 there were over 800 children residing in shelters throughout the province. By the end of World War Two, shelters were gradually phased out and replaced by small group or receiving homes. The Charity Act of 1874 encouraged voluntary organizations to establish and support orphanages based on the British system. Initially orphanages sought apprenticeships for most of their children but gradually moved towards implementing long-term care programs. During the 1920’s, the growing acceptance of foster care led to orphanage closures. Their use was resurrected during the Great Depression, but by that time many had focused their programming on children with special needs. Locally, the Wellington County House of Industry and Refuge officially opened its doors on December 17, 1877 to the poor and homeless in the community. Many orphaned or abandoned children were also admitted. Still others, deemed to be of weak or unsound mind, came because they had been rejected by their family or community. The Wellington County House of Industry and Refuge is now known as the Wellington Museum and Archives, and is the oldest known state supported poor house in Canada still standing. Approximately 25% of the child population of the Wellington County House of Industry and Refuge were bound out to service. The intent of the policy was clearly to meet the economic needs of the applicant families and individuals rather than the social and emotional needs of the children placed. Many of these placements failed, often within several weeks or months. Children who had no choice in the matter had not been prepared for these often sudden moves. Often indentured service was called “adoption”, although this definition by no means guaranteed that the child would have rights as an heir but was a more formalized version of apprenticing. The Humane Society was created as a volunteer run society with an initial annual budget of $34.61. Children residing at the Wellington County House of Industry and Refuge were transferred to the care of the Humane Society. In 1903 the Guelph Humane Society changed its name to The Guelph Humane and Children’s Aid Society to better reflect that it was responsible not only for the well-being of animals but also for children, and in 1927 the name was changed to The Children’s Aid Society of the City of Guelph and the County of Wellington. The Society was officially incorporated in 1934. By mid 1927, temporary wardship was introduced as official recognition of a growing sentiment that separation of children and parents need not be permanent, as it became accepted that most parents held the capacity to learn, change and develop. February of 1894 a fledgling Guelph Humane Society was founded and had organized its committees with Col. Nathaniel Higinbotham as President. Within the first few years of operation, the executive committee recognized that the protection and care of children had become their primary function. March of 1894, the Society hired its first employee. Mr. Thomas D. Elliot was appointed Inspector on a part time basis at a salary of $40.00 per annum. At that time, the population of the City of Guelph was slightly more than 10,000 inhabitants. 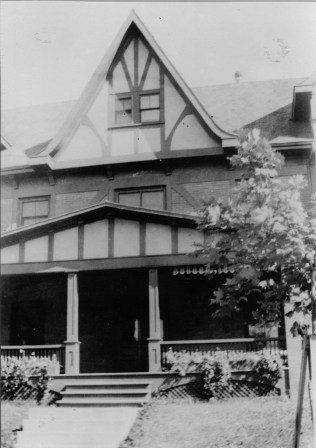 The Society’s first children’s shelter, was located at 1 Waterloo Avenue in Guelph from 1897 -1911. The Society paid $2 per month for a room and to the Matron an additional $1.50 per week for the boarding of each child until a foster home could be found. In 1938 Ruby Barrett was hired as Assistant Superintendent and she implemented many progressive changes to the work of the society. For example, over the years shelters were replaced by smaller receiving homes, and then foster homes emerged as more appropriate places for a child to live to build character and receive positive influence. Ruby Barrett unfortunately died in a car accident in 1942. Progress continued and by 1958 the Children’s Aid Society was no longer being run by volunteers and now had a staff of 11 workers and an Executive Director. Between 1870-1957 it is estimated that more than 100,000 neglected and orphaned street children were sent to Canada from Britain with 70,000 arriving in Ontario alone. They were sent by religious and charitable organizations to live with Canadian families to fill labour shortages in rural communities. 1897 the Ontario government passed legislation to regulate agencies that brought children to Canada. The supervision of these children became the responsibility of Children’s Aid Societies as they became created. 12% of the Canadian population can trace its origins to a British Home child. Foster care emerged by the latter half of the 19th century in response to beliefs that a substitute family was a more appropriate place than an institution for a child to build character and receive positive influence. The assumption at the time was that children in institutions learned what were perceived to be evil or idle habits from one another and generally did not have the chance to morally improve. Organizations like Dr. Barnardo’s Homes placed orphaned British children with Ontarian families to provide farm labour and domestic service in return for what they hoped would be a better life. Dr. Barnardo’s Homes provided the model for Ontario’s first foster homes. Foster parents received no remuneration and were expected to ensure the child’s attendance at school and Sunday school, while providing food, clothing and support to the child’s character development. 1910 saw the completion of the newly built brick shelter on Clark Street. In its first year of operation the shelter housed 78 children: 37 from the city and 31 from the county. Forty were boys and thirty-eight, girls. Thirty-one were returned to parents or friends of the family and fourteen were placed into foster homes. Ten became wards of the Society. Of the 78 children who were admitted to the shelter, a total of 20 were “kept temporarily during sickness of parents. This “public service” continued well into the 1930’s and the shelter also became home to many other children who required special care and could not be placed elsewhere. 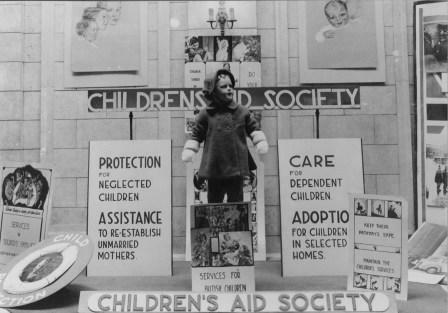 During the years surrounding World War Two, new services were required of local Children’s Aid Societies who were asked to secure homes for British Child War Guests. And to investigate cases involving servicemen and their families for the Dependents Board of Trustees (D.B.T.) and the Dependents Allowance Board (D.A.B.). This task increased each year, peaking in 1944 when 457 investigations were conducted. During this time, the Society began to de-populate the shelter and shorten the length of stay for children requiring emergency accommodation. By 1942 the population had been reduced to nine children with the average length of stay being reduced from several years to approximately 45 days. That year it was reported that 203 children in care were being provided for in a foster home setting. This number rose to 302 in 1947. The shelter on Clark Street became renamed as The Reception Home Protection and family preservation work in the post-war period was a huge challenge for Agency social workers. The months and years of separation between men in the services and their wives and children resulted in a very difficult adjustment period for families. In 1945 the shelter children were moved from the over-sized quarters on Clark Street to a more intimate family setting at 106 Essex Street which was run by an experienced foster mother from Mount Forest, Verda Seim. Verda who was known simply as “Mum” to the children in her care, operated the reception home until 1950. During the later years, the Society began to place a greater emphasis on using its foster homes for the emergency and short-term care of children. With the end of World War Two, those involved in child welfare began to question the long-held presumption that children were highly adaptable and resilient. This shift in thinking led to increased acknowledgement of the special needs of some children, along with greater awareness of the support needed by foster families to adequately fulfill their important role in the lives of children. 1958 saw the Agency move from crowded offices on Douglas Street to the spacious quarter of the old nurse’s residence at 55 Delhi Street. At the time, a growing staff consisted of 11 workers and the Executive Director J. Paul Jolliffe. The next two decades saw a growing focus on improved support and counselling for children and families with greater attention being paid to concerns such as marital problems, addictions, and financial difficulties. Work was done to keep children out of care or returned to their families as soon as possible after being brought into care. 1984 saw the Agency dropping the name Children’s Aid Society and becoming Family & Children’s Services of Guelph and Wellington County. The new name reflected a growing awareness of the child welfare agency’s role with children and their families. In 1985, the Child and Family Services Act (CFSA) was proclaimed by the government, promoting the best interests, protection, and well-being of children. The CFSA created legislation around the delivery of child welfare services, underscored the responsibility of all citizens to report suspected child abuse, directed that the least disruptive course of action available and appropriate be followed for children and families and recognized where possible that services to children and families be provided in a manner that respects cultural, religious and regional differences. In November of 2011 the offices of Family & Children’s Services of Guelph and Wellington County left the historic offices at 55 Delhi Street in Guelph to newly renovated space at 275 Eramosa Road, providing more space, better accessibility for clients and more efficient delivery of services. In October 2017 Children’s Aid Societies in Ontario came together to formally recognize and apologize for their role in the Sixties Scoop and residential schools, as well as for the over-representation of Indigenous children and youth in care. The sector agreed to work toward reconciliation with Indigenous communities through nine key commitments. The sector also embraced the One Vision One Voice initiative to look at its work with Black families, children, and youth. On April 30, 2018 the new Child, Youth and Family Services Act (CYFSA) came into effect. The CYFSA governs a range of service sectors in addition to child welfare, including youth justice and residential services. The legislation puts children and youth at the centre of decision-making, and supports more accountable, responsive and accessible child, youth and family services. It also strengthens oversight for Children’s Aid Societies and licensed residential services. The CYFSA reflects many provincial child welfare advocacy efforts: raising the age of protection to 18, a legislative framework for information access and privacy, recognition of extra-provincial protection orders, personal liability coverage for board governors and supports for older youth.